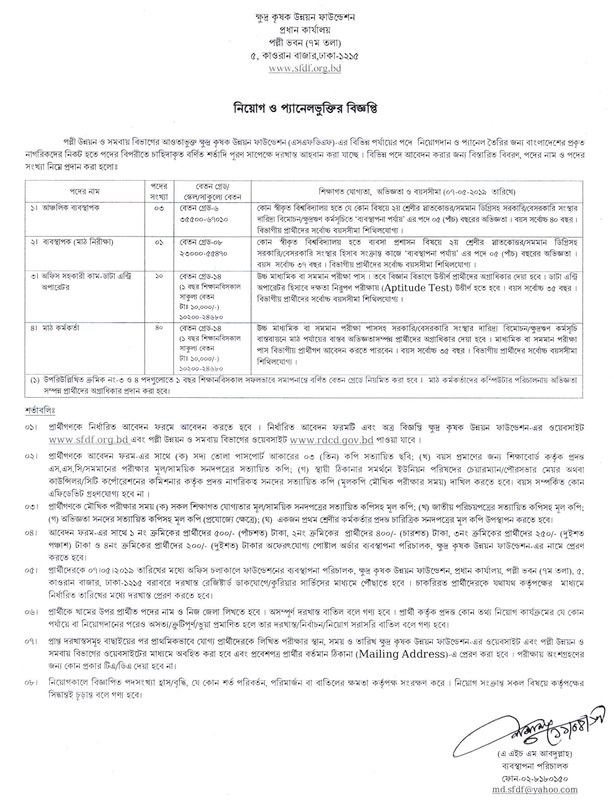 Rural Development and Co-operatives Division RDCD Job Circular 2019 has been published by authority. Jobs resignation of RDCD are many category. It’s a huge opportunity to unemployed people Who want to do in this sector. Rural Development and Co-operatives Division is one of the most valuable part in Bangladesh government. Rural Development and Co-operatives Division is the most popular department in Bangladesh. With the job chances in Rural Development and Co-operatives Division authority,anyone can take this opportunity. Rural Development and Co-operatives Division offer to people for exciting career opportunities in rural development and co-operatives. Rural Development and Co-operatives Division think that young and energetic people is the key to success in this sector that create brightness in our country. Otherwise,Rural Development and Co-operatives Division help’s us to social economy. If you want to apply for this job,you should submit your application within 07 May 2019. Rural Development and Co-operatives Division Job Circular 2019 original job circular converted to an image file,so that everyone can read easily or download this job circular. Rural Development and Co-operatives Division authority job circular 2019 related all information has been given bellow. Institute Name : Rural Development and Co-operatives Division. Age : Please See The Image File For Details.